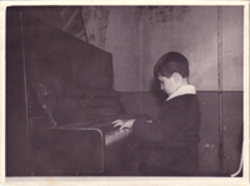 Born in Odessa, Ukraine, Lenny started studying classical piano at the age of six. Like most kids, Lenny hated daily practicing, especially when he could hear his friends playing ball outside. Sometimes, after school, Lenny would mess up the piano string dampers so that the piano would ring nonstop and be impossible to play. When Lenny's dad came home, he adjusted everything back to normal and then asked Lenny what happened. Lenny would deny any knowledge of course. His music favorites also included Ennio Morriconi, Henri Mancini, Antonio Carlos Jobim, Paul Marya, Space and many others. Listening to these greats developed in Lenny a love and understanding of the importance of a melody in a tune. 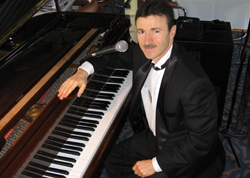 In 1979, Lenny immigrated with his family to the U.S., and settled in New York where he started learning about jazz. While performing in various clubs in NY, Lenny took private lessons from seasoned jazz studio musicians. For only a price of a ticket, one of the best lessons that Lenny remembers getting was watching Oscar Peterson perform at the Blue Note. Sitting 6 feet away from stage Lenny had an exceptional view of the master's hands at work. In the early 80s, Lenny started composing his own music. Playing with many different musicians gave him great understanding and experience in composition, arrangement, phrasing, and styles. 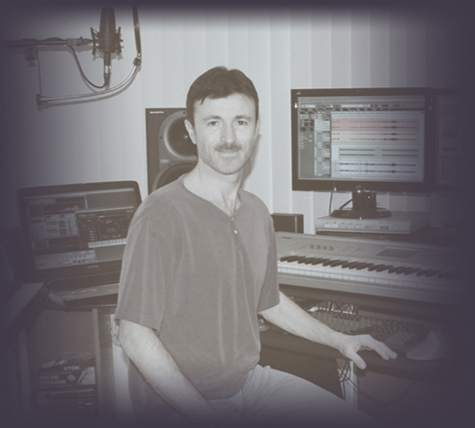 Influenced by a classical education, classic rock, European pop music, jazz and new age, Lenny developed his own unique style of writing. In 1991, Lenny relocated to Hawaii, where he produced his first pop album "Only For You"; also released in Japan in 1994. "This project was like emptying a glass; all of my musical ideas that piled up over the years came pouring out." After several years on the islands and taking in the island music culture, Lenny began working on a new album. Hawaii's precious beauty was the perfect setting for composing his second release, "Summer of My Dreams", in 2003. Songs in the styles of reggae and pop ballad are about island beauty, love and friendship. Incidentally, inspiration for most of the songs came to Lenny while he was relaxing at the beach. Having composed in different styles, Lenny has always stayed true to one thing that he believes in - every song should have a beautiful melody. Currently Lenny performs in the five star dining Super Nova room on the Star of Honolulu dinner cruise ship, Honolulu, Hawaii.